The United Nations General Assembly adopted the Convention on the Prevention and Punishment of the Crime of Genocide in December 1948. 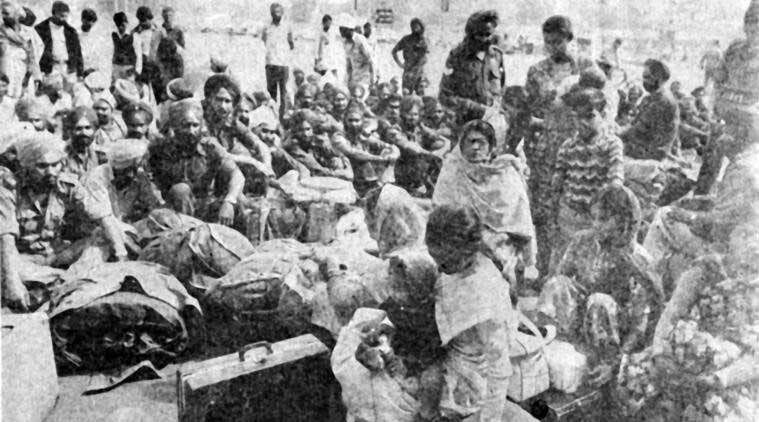 Seventy years later the Delhi High Court for the first time unhesitatingly recognised the 1984 anti-Sikh pogrom as Genocide. Thirty four years after the massacre a bench of justices S Muralidhar and Vinod Goel finally last month held former Congress MP Sajjan Kumar guilty of conspiring riots, incitement of violence, abetment to murder and looting, arson and various other offences and was sentenced to life imprisonment. The HC while citing some important incidents of mass killings such as Mumbai (1993), Gujrat (2002), kandhamal (2008) and Muzaffarnagar (2013) expressed concerns over targeting of minorities and the attacks spearheaded by the dominant political actors with the connivance of the law enforcement agencies. It also expressed its dissatisfaction over inadequacy of domestic legal framework in India dealing with mass atrocity crimes especially crimes against humanity and genocide and this called for strengthening the legal system by plugging the loophole urgently. It is interesting to note that political parties in India recognise an act as genocide only if it suits them politically and refuse to acknowledge the same if it does not help them. For example Congress takes offence if one call 1984 anti-Sikh riots as genocide but the BJP never do so. Similarly Congress never dithers calling 2002 Gujrat pogrom as genocide but the BJP at the same time never recognises so. The Indian Government also seems to be confused on the matter and its stand definitely defies logic. While two senior cabinet ministers of the government Rajnath Singh and Arun Jaitley have described the 1984 anti-Sikh massacre as ‘genocide’ but the Ministry of External Affairs in 2017 strongly rejected a resolution passed by the legislative assembly of Canada’s Ontario province describing it as ‘genocide’. Dismissing the motion the MEA’s spokesperson Gopal Baglay had said that “We reject this misguided motion which is based on a limited understanding of India, its constitution, society, ethos, rule of law and the judicial process”. This confusion on the part of government on the subject seems to be mainly due to lack of national legislation on genocide as highlighted by the HC. Though India had signed and ratified the Genocide Convention in 1948 and 1958 respectively and is obliged under article 5 to enact a law for the prevention and punishment of genocide, unfortunately no sincere efforts have so far been made to effectively criminalize the offence of genocide in our domestic criminal law. The Constitution also, under Article 51, requires India to endeavour to “foster respect for international law and treaty obligations”. This is generally attributed to our mistaken belief that the crime of genocide already falls under ordinary domestic criminal law provisions prohibiting murder and bodily harm. This was reflected in the statement of Home Minister for State Kiren Rijiju in Rajya Sabha in 2016 claiming that both substantive and procedural criminal law provide an appropriate legislative framework to deal with acts like genocide in India. We must realise that genocide is neither a case of simple murder nor a case of mass killing as it is generally understood. The most significant aspect of the crime of genocide is the intent part which distinguishes it from the crime of an ordinary murder or inflicting bodily harm. Thus in genocide one targets individuals because they are member of a particular national, ethnic, racial or religious group which one seeks to destroy, in whole or in part. 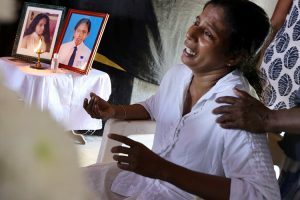 Even a cursory review of our criminal law reveals that there are no parallel provisions embodied in the Indian Penal Code criminalising killing or causing serious bodily or mental harm to individuals of a particular national, ethnic, racial or religious group, with the intent to destroy such a community in whole or in part which is the essence of the crime of genocide. Furthermore there is section 197 of the Code of Criminal Procedure which is often used to shield public servants from prosecution and therefore diametrically opposed to Article IV of the Genocide Convention which calls upon State Parties to punish guilty persons irrespective of their official positions and amend their domestic laws in order to remove any immunity that may accrue to certain State officials. In view of this lacuna in our domestic criminal law and treaty obligation there is an urgent need to enact a national law to criminalise and punish the crime of Genocide instead of relying on IPC and Cr. P C. The International Court of Justice (ICJ) in the Bosnian Genocide case (2007) has clarified that the state’s obligation to enact a national law is binding. It should also be noted further that India follows ‘dualistic’ system in the matter of implementation of international law whereby any treaty to which it is a signatory will not automatically become part of our national laws. For this purpose the parliament will have to enact an enabling legislation under Article 253 of the Constitution which obliges Parliament to make any law “for implementing any treaty, agreement or convention”. We must realize that the principle of prohibition of genocide has been recognised as part of general international law and constitute obligations erga omnes and thus we are bound by, besides treaty obligations, the general international law obligations to prevent and punish acts of genocide. But these principles are not self-executory and hence we need not only to render the acts referred to under genocide convention as punishable offence but also require designating or establishing ‘competent tribunal’ to try them. It is also high time for India to review its policy of not acceding to Rome Statutes which established a permanent International Criminal Court in 2002 and offers framework for states to investigate and prosecute the crime of genocide. * The writer is a Professor of Political Science at Aligarh Muslim University, Aligarh.